Final stage of prep seems now to be done. Passport renewed, visa obtained, jabs jabbed (although inconveniently I had a fever when I went for my yellow fever jab so I had to return a few days later) anti-malarial Malerone tablets bought, while my wife has armed me with lots of practical things like wet wipes, hand sanitisers and so on. Final thing to buy is a mosquito net, and I need to locate and deploy my inner hairy-chested man of action. My inner h-c man of action especially required after a day of compulsory security training. Essentially the training gave you an idea of what to do in every conceivable worst case scenario, delivered by a man who has spent much of his life working in the most hostile environments, bless his white-rimmed eyes. Lots of advice from what to do if you are being robbed (simply give them everything) right up to the best position to take on the floor if someone throws a live grenade into the room. Rather melodramatically a dummy grenade was thrown into our room, prompting us to flatten ourselves on the floor, heads pointed away from the blast. Hardly soothing stuff. Nevertheless, the script I wrote which we are filming seems to have been approved by everyone, and next week we see how reality matches our expectation. I am hoping we can edge beyond the normal tropes of DRTV and see if we can get something exceptional. Fundraising DRTV advertisements have some rigid but proven conventions so it is definitely about striking a balance between abiding by conventions and managing to surprise people. I’ve not had much chance to engage with poetry over the last few weeks, due being very busy in my Peter Kenny The Writer Ltd mode. This is making me itch to write poems again. 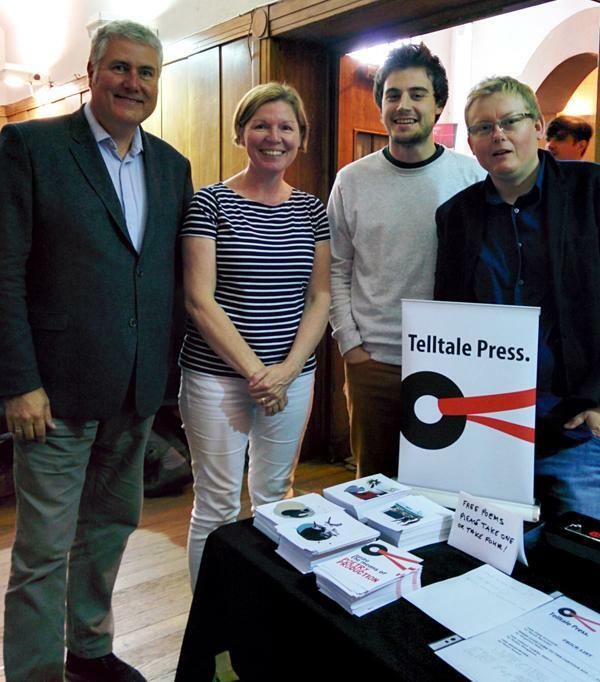 I particularly enjoyed being on the Telltale Stand for the Poetry Book Fair. More than anything I value the chance to get a snapshot of what is going on in poetry in the UK, and also to drift about chatting to some old friends and putting some names to faces. I bought books too. One simply because I liked its name: Infragreen by Kate Bingham, and another because it was connected with Guernsey: Timothy Adès translation of How to be a Grandfather, by Victor Hugo. I spoke with Timothy who had just returned from the Guernsey Literary Festival, and had bumped into Edward Chaney there. I also bought a Carcanet New Poetries IV anthology. I love these Carcanet anthologies. They invite a kind of personal statement of its poets, which is a potential minefield. Some are illuminating while others make me hoot with laughter at their portentous vacuity. All adds to the fun. My favourite moment on the Telltale stand was when a woman looked at the four free poem postcards we were giving away. Silently she picked up one after another, read the first line or two through her magnifying glass, and replaced the card on its pile with a visible shudder. She came to Sarah Barnsley’s card last, and lo! She regally retained it before moving on. Praise indeed. In fact Sarah Barnsley’s new pamphlet is just out from Telltale. 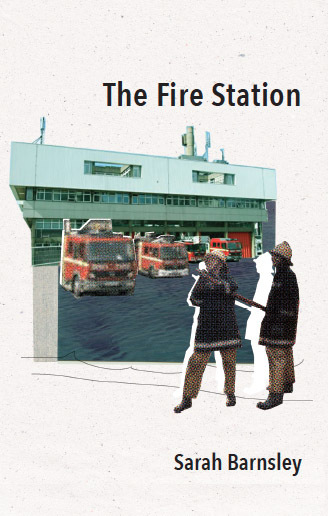 The Fire Station contains some truly exceptional poems.When I get back from Chad I will write more about them. This entry was posted in Charity, Guernsey, Marketing, Poetry, Travel and tagged Carcanet, Chad, DRTV, Edward Chaney, Guernsey, Infragreen, Kate Bingham, Poetry Book Fair, Robin Houghton, Sarah Barnsley, Siegfried Baber, Telltale Press, The Fire Station, Timothy Adès, Victor Hugo. Bookmark the permalink. Thanks Elly! You won’t be disappointed. And thanks so much for your good wishes! “the best position to take on the floor if someone throws a live grenade into the room…” This I need to know! I’ll be thinking of you over there, take care and hope you see some (friendly) wildlife.